Concerned about Climate Change? What you CAN do! 1, Take action politically! Realize you are not alone in caring. Link-up with others and get organised. Join groups such as Climate Action Now, Friends of the Earth, Greenpeace, your local Transition town or other community based environmental group. Join online activists Avaaz & 350.org. Try and influence your political party to get serious about Climate Change, or join another one that is. 2, Putting your money where your mouth is! Through what we choose to buy and where we choose to put whatever money we have, we do have some influence. Disinvest from any company or organisation that supports the fossil fuel based economy. Bank with an ethical bank and invest in the kind of economy you want to see. 3, Choose how you move! Do you really need to fly? Still own a car? Gradually shifting to a more flexible use of walking, cycling, buses, trains, using the internet to replace journeys and joining a car sharing club for those times when a car really is of use…this mix really is the way to go! 4, Your built environment. Your house, office or school are probably pretty energy inefficient. What practically can you do to improve this? There is a lot of advice and help around (but not of course as much as there should be) to help you draught proof and insulate your house, and by linking up with colleagues you may be able to improve things at school or work. 5, Eating to save the Planet! Try eating a gradually higher proportion of local and organic food, and a lower proportion of meat, especially industrially produced meat. We have lots of good sustainable producers in Herefordshire! 6, Make lifestyle choices! Many of the things that help you cut your carbon footprint will also save you money, and often be more fun than anything the high consumption lifestyle has to offer! Reducing the amount of stuff we buy liberates us. Freedom is often understood to be rooted in letting go of craving and the desire to excessively consume. Improved wellbeing and happiness are at the heart of any vision of a green future. 7, Positive Information. The mainstream media and political parties are trapped in a very negative discourse. There is much going on that is inspiring. Seek out this solution focused thinking and action. Technologically and philosophically there is much to celebrate! This entry was posted in Climate Change, Local on 28 February 2014 by Richard. Globally the climate is changing just as climate models have long predicted. Records of extreme flooding, drought, heat and cold are being broken everywhere. Oceanic and atmospheric currants are shifting. While southern Britain floods and the eastern USA freezes California is gripped by drought. Cameron declares he’ll do all he can to help, yet does precious little to avert long term catastrophe, and continues to give a platform to climate change denying headless chickens in his cabinet. The cracks in the Tory party that I blogged about earlier this month are becoming more apparent, as evidenced by the clash between Tim Yeo and Peter Lilley in the Climate Committee. Ed Davey’s attack on the “diabolical cocktail” of right wing Tories and UKIP members undermining any effective action on climate change hits the nail on the head. Natalie Bennett, leader of the Green Party, has called on Cameron to clear-out these climate change denying dinosaurs from the coalition cabinet. I think she’d agree with me that Owen Paterson should be the first to go. We need a greener government right now! A broader coalition, with perhaps Caroline Lucus of the Green Party, and a few of the greener Labour MPs joining the greener Tory and Lib Dem MPs in a coalition united around the emergency that is our changing climate. I’d love to contribute a few policy recommendations! Technologically and philosophically a zero carbon economy is more achievable than our media and politicians seem to realise, and could herald many other beneficial changes. Meanwhile I’d urge my readership to keep up the lobbying. 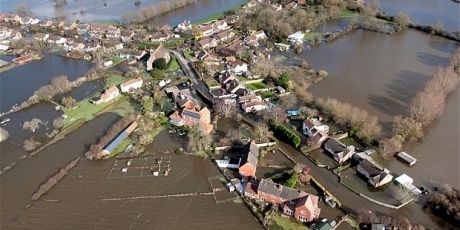 Please sign the Avaaz ‘Hope from the floods’ petition below, and if you live in Herefordshire then add your voice to our local CAN one. Also as a result of the appalling amount of media coverage devoted to barking mad climate change deniers, and the tiny amount of coverage given to constructive debate of radical mitigation measures, Vanessa Spedding has recently started a petition to the media, which is also well worth signing! There’s a petition form FOE on the issue, just for good measure! This entry was posted in Climate Change, Environmental, Politics on 18 February 2014 by Richard. Over the years on this blog I’ve frequently written about the obscene levels of inequality that are now so prevalent in many countries, and that most political parties now only really represent the interests of the richest 1%. The 99% are effectively marginalised. I have also written about the corrosive effect this has on many aspects of our society, and have referred people to Kate Pickett and Richard Wilkinson excellent book, ‘The Spirit Level’. 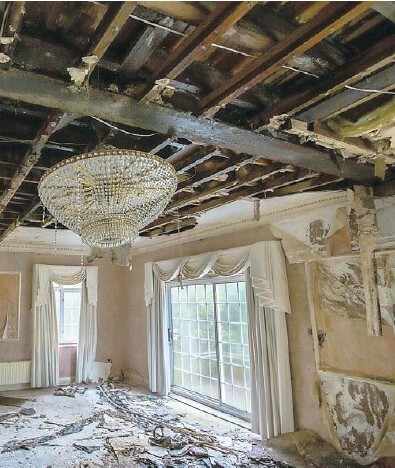 ‘A Conservative Councillor, Andrew Harper, whose ward covers the avenue, asked whether leaving homes vacant for decades was acceptable said: “That’s their prerogative. It is difficult to imagine what one would put in place to force things to be different to how they are.”’ He sounds like a spokesperson for this tiny super rich minority, rather than a representative of the people in his ward, let alone the poor and homeless of London. Just off the top of my head let me make a few suggestions for our hapless Councillor to consider. Setting levels of Council Tax on empty property is now up to local authorities. They should set these at the maximum levels, ideally many times higher than for occupied properties, and to increase every year the property is left empty. Stamp duty on property sales should be radically increased: if someone can pay £30 million for a house they can probably pay £60 million: a 100% stamp duty would also have the effect of pushing down prices at the top and probably generally too, so reducing the London Housing bubble. Currently the top rate is 7%, but as demand for these palaces is so strong, clearly the top rate is far too low. Alternatively, what about compulsory purchase and conversion to housing association apartments, perhaps for London’s homeless? This entry was posted in Economics, Politics, Social on 11 February 2014 by Richard. How long are we going to be stuck with the ‘headless chicken brigade’? The Guardian Environment Blog posted an interesting if chillingly depressing article last week showing how climate change deniers are being recruited to pack a Parliamentary Committee on Climate Change. Cameron’s claims about leading the greenest government ever seem ever more risible. A bunch of scientifically ill informed right wing Tories now seem to be setting Conservative party policy and look increasingly as weird as their counterparts who so dominate Republican politics in USA. 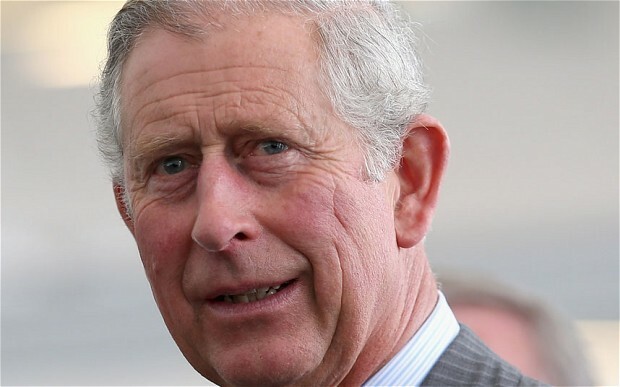 Meanwhile Prince Charles’ attack on the ‘headless chicken brigade’ of climate deniers and the vested interests that they represent is a breath of fresh air. Right of centre politics does not have to be so scientifically idiotic. Angela Merkel’s CDU, along with many European conservative groupings have some pretty well thought out environmental policies and collaborate with left of centre parties to create long term rational policies and practices. One intriguing question is, if the Conservative Party is to move toward a greener and more scientifically literate position in relation to climate change, who is likely to lead such a grouping? Zac Goldsmith, Laura Sandys or Greg Barker are names that spring to mind. They are members of the 2020 group of conservative MPs, as is my local MP Jesse Norman. He has been pretty quiet on the issue of Climate Change, yet is a potential future party leader. A group of us Herefordian environmentalists have booked an appointment to talk to him on the issue. It should be interesting! John Gummer (or Lord Deben as he is now known) seems tentatively to be speaking out on this issue, even if he is couching his arguments in strictly economic terms. Currently the right wing, climate change denying forces within the Tory Party seem to be utterly running things, but perhaps the time for a change of direction is sooner than we might have dared to think? This entry was posted in Climate Change, Environmental, Politics on 4 February 2014 by Richard.